When you are traveling for business or pleasure, do you go through a checklist for fire safety in hotel before you get settled in your room? There are things you can do before unpacking any of your belongings. Computer-based fire safety training has both pros and cons; in this article, you'll learn about both, as well as where to locate trainings. When it comes to the elderly fire safety cannot be stressed enough. Sadly, statistics show that this segment of the American population runs a much higher risk of being the victim of a deadly fire than younger people. Fire safety education clip art is a great resource for developing lessons, activities and games to teach and reinforce fire safety guidelines. LoveToKnow has created a few original images that you can download and use to enhance your own projects. Fire safety manuals are important documents that all employers -- and employees -- should be familiar with and have readily available in case of an emergency. Fire safety monitoring can literally save your life. Learn more about these advanced fire alarm systems, and where to find them. If you're looking for home-based fire safety plans California style, then it's good to know you will find them in The Golden State. Knowing how to avoid common firefighter hazards can save lives. Find out what your local firefighter may face each time they answer the call of a fire alarm. What Type of Fire Extinguisher Should Be in a Home? Fire prevention is an important part of any safety program. Kids need to learn fire prevention from an early age, and fire safety planning is something that families should discuss regularly. 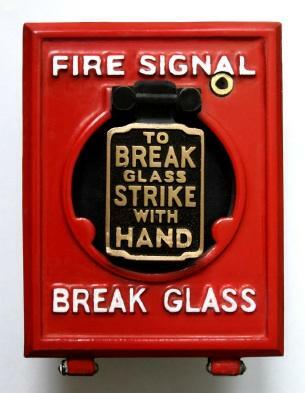 Fire safety is also an important topic for schools, offices and other work environments. When you're looking for information to help teach or reinforce fire safety concepts, or if you just need to be reminded about this important topic, LoveToKnow Safety can be your go-to resource. Home: Get important home safety information, such as tips for kitchen fire prevention and home fire extinguisher information. Travel: Make sure you know how to stay safe on the road with this checklist for hotel fire safety. Seasonal: Discover season-specific guidelines to avoid fires, such as summer and fall fire safety tips. Activities: Learn what you need to know to use fireworks and fire pits safely. Hobbies: Find out how to avoid risks of fire when engaged in arts and crafts activities. Training: Discover resources for computer based fire safety training courses. School: Learn about important fire information for homeschooling, and find out where to find fire safety kits for schools. Graphics: Download a few printable fire safety posters at no cost, as well as similarly-themed original clip art. When it comes to avoiding fires, knowledge and awareness are important keys to prevention. Any time you're looking for helpful resources on this important topic, visit LoveToKnow Safety. The Fire Prevention and Safety Category is filled with great articles, original printables and other helpful fire safety information. The editorial team is always updating and adding content, so you just might find something new every time you visit.